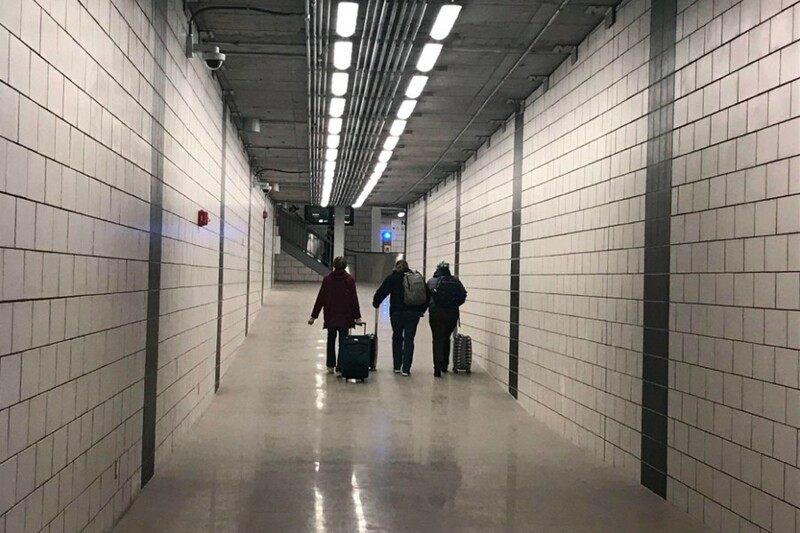 The North Station pedestrian tunnel linking the subway to the commuter rail has finally opened to the public, a much-anticipated improvement at the stop. The 250-foot tunnel under Causeway Street will serve as an underground connection to the Orange and Green lines, meaning passengers will no longer have to head outside the Garden onto Causeway Street to access the subway, as they had to do during construction. It will also provide some welcome shelter from the elements as winter gets underway. It had been slated to open in late 2018, but appears to have been a little behind schedule. Among those celebrating the completion of the project was the TD Garden, whose parent company Delaware North paid for the tunnel along with developers Related Beal. It’s just one of many major changes slated for the arena and the surrounding area in the coming years.